Big Torque in a small housing, this T-180 Lo-Pro Servo gives you plenty of options on the track. Designed to give you the industry’s highest per degree resolution steering and plenty of speed to keep that chassis where you want it. Full Metal Gear set, All Aluminum Housing, Digital Position Encoding and loads of Torque, this servo keeps you in control. Fine-tune your setup with an extensive set of adjustments via Tekin’s HotWire PC Interface. 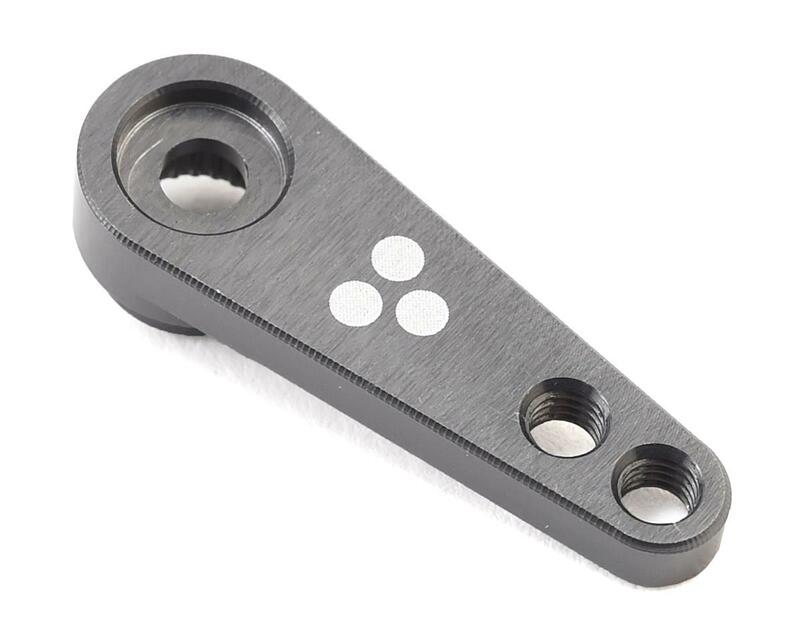 Included with the T-180 Lo-Pro Servo is a machined aluminum Vector 25T servo arm. Digital Magnetic Position Encoder (DPE): Our servos use Digital Magnetic Position Encoding (DPE) rather than a standard potentiometer, which gives Tekin servos industry leading accuracy, linearity and consistency. 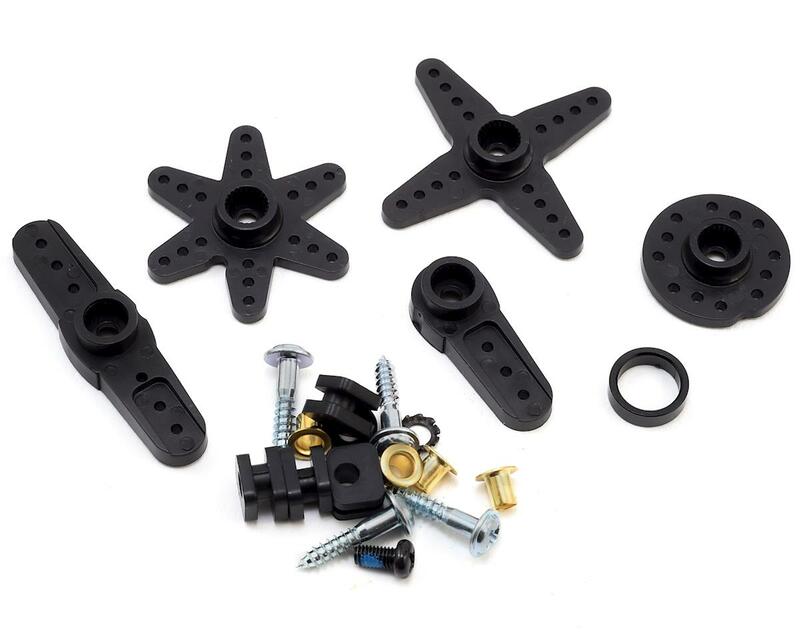 Accuracy: Precise linear movement through the entire motion range with less than .2 degrees of deviation from start point to end point make Tekin the superior performance product. Low deviation DPE technology translates to pinpoint accuracy not found in other potentiometer servos, which tend to wander and center poorly and get worse as they age. Tekin is built to last at peak performance. Linearity: Potentiometer servos can be up to seven degrees non-linear from end point to end point, creating a disconnected feel from your transmitter. 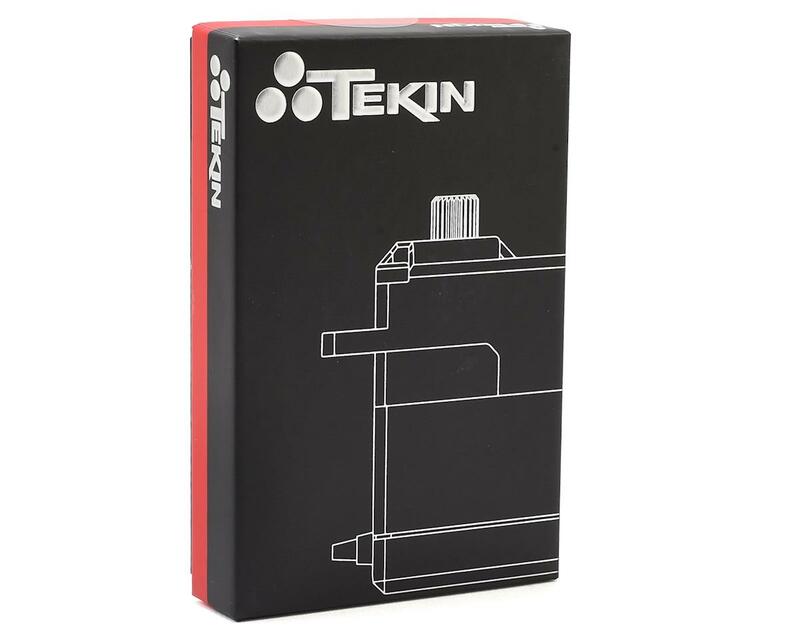 Tekin servos eliminate this disconnect, giving you a linear feel and more precise control over your servo movement and position. Consistency: Performance is important but we are all about consistent performance. Potentiometer performance drifts due to many variables; heat, age, component quality, etc. DPE is a rock-solid, repeatable and consistent technology bringing an unmatched consistency to Tekin servos. Tired of constantly trimming your servo and having response feel different during times of longer usage? Tekin servos are the answer. Efficiency: Accuracy drives efficiency. A servo that has to work less to center or stop without overshooting position is using less energy. This means less heat build-up, less component fatigue and longer life. Adaptability: Tekin Servos come with a series of unique features; DPE technology lets you set the center point anywhere, and servo travel limits can be set without reducing the End Point Adjustments (EPA’s) on your transmitter. 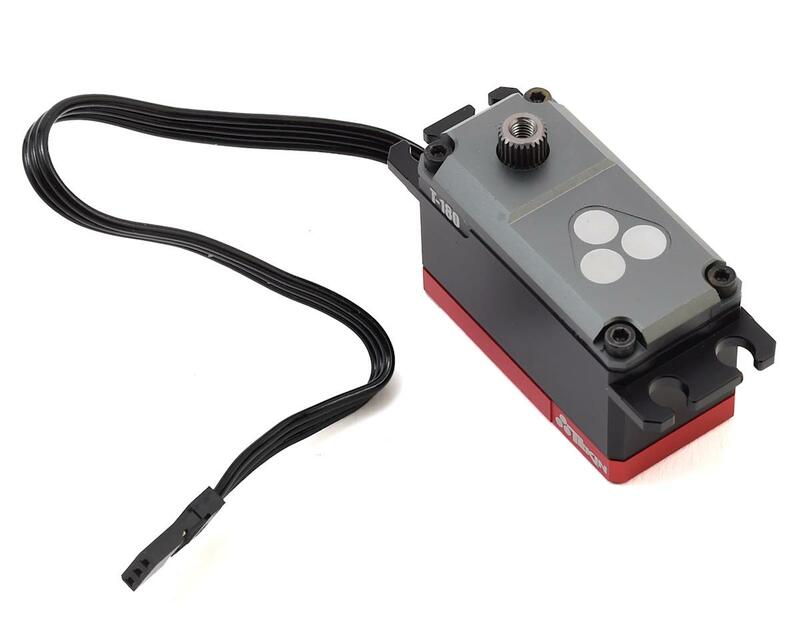 Most servos are limited to 90° travel in each direction with a physical stop point; DPE means that Tekin servos can be programmed to travel beyond 360°-- up to 5 full rotations in each direction! Element Proof: Dependable, no matter the terrain. Element Proof Tekin products are designed to handle water, mud & snow within reasonable restrictions. While we are not afraid to take on the elements, submerging is not recommended.